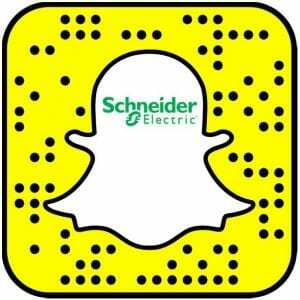 I have been part of Schneider Electric since November 2015 as a Field Services Representative. At my workplace, there are only 2 female engineers out of a group of 30 engineers altogether. Every time I drop by a client’s site, on my first encounter they have always asked: “Are you alone? No other engineers with you?”. Most of them were taken back by surprise and skepticism. It seems that this has been a somewhat ‘acceptable’ reaction when a young female engineer comes to their factory site with electrical tools on hand and the determination to solve various challenging & technical issues at their workplace. There’s a common stigma in our society that several jobs are only specifically suitable for men or women. This gender stereotyping revolving around women’s technical incompetency still exists until this day. It happened to me every time I was assigned a site visit, investigation, and preventive maintenance. Truthfully, it was not easy the first time and still remains an issue. I still need to work harder to prove that my technical skills are equally as good as other male engineers. Technical skill is not the only thing that matters when we talk about gender stereotyping in the engineering sector. Physical strength does matter. Working with MV and LV equipment requires a healthy physic. As an example, I need to be in my best fit condition and strong enough to ground the cubicles, charge the circuit breakers, and measure the capacitance. Could you imagine if I was not physically capable enough to operate the equipment? That situation would certainly put my life in danger. As an electrical engineer, there can be consequences working with electricity, and because of this I must put personal safety as my first priority. Interestingly, I sometimes come across customers or clients who have neither a technical or engineering background. Technical questions are bound to come by, and to explain in layman terms for their understanding is not an easy task either! This requires me to combine not only my technical skills and knowledge, but also my communication skills. It is a challenging feat, and I find personal satisfaction in it. On the other hand, it’s really an enlightening realization that by becoming a female engineer, I can channel my inner traveler outward. Occasionally when I am assigned with visiting cities & rural areas in Indonesia, I would discover new amazing horizons throughout my journeys. The journey of being a female engineer certainly has been tough at times. Even though I’m in a minority situation and breaking the stereotypes, I have no absolute regrets on choosing this career path. I am proud to be a female engineer in Schneider, and I hope someday the barrier will be removed, and both men & women can be equally succeeded in the engineering sector. My name is Maulidya Falah. I graduated from University of Indonesia with Bachelor Degree of Electrical Engineering. After I graduated, I started my career in Schneider as Field Service Representative in November 2015, and there are only 2 women Field Service Representative including me. 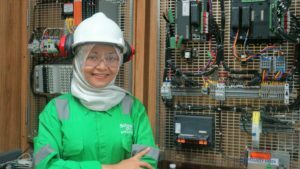 In 2014, I was chosen as Schneider Electric Campus Ambassador along with other students from some reputable universities in Indonesia to speak up and increase the awareness about energy efficiency. Thank you for sharing your experience, Maulidya, and for inspiring other women…and men, too! Your advice is too much important for the female engineers. 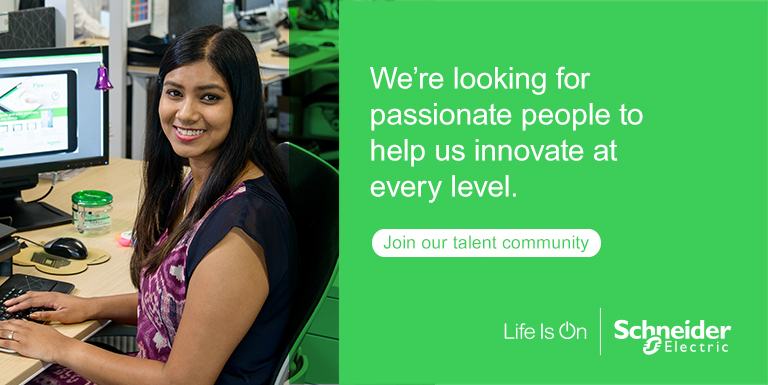 Thanks a lot for sharing this blog with us on Schneider Electric.